Not long ago I realised I hadn’t updated the blog’s content library in quite a while, so I thought I’d surprise you with some new downloadable goodie. 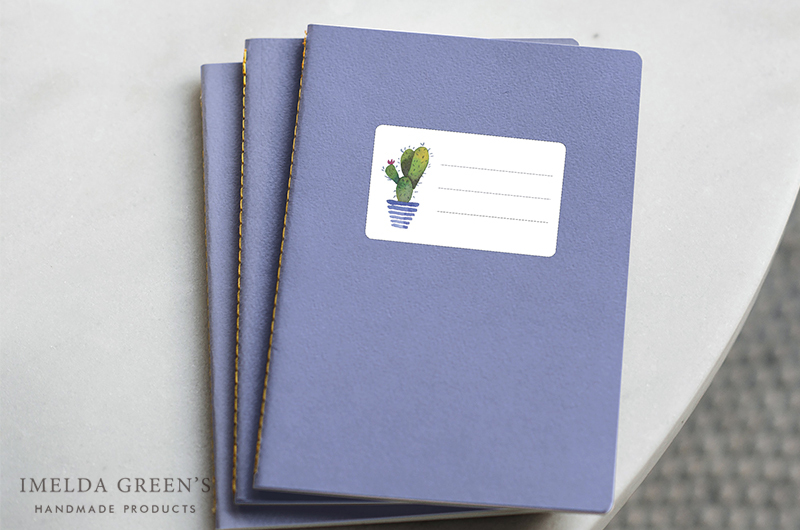 September is always a time for planning and re-planning for me – and of course, a time for school. A few years ago these days I would sit on the floor, wrapping my school books in blue protective paper and sticking name labels on them. I am not too nostalgic about those times though, even if name labels are of good use even today. 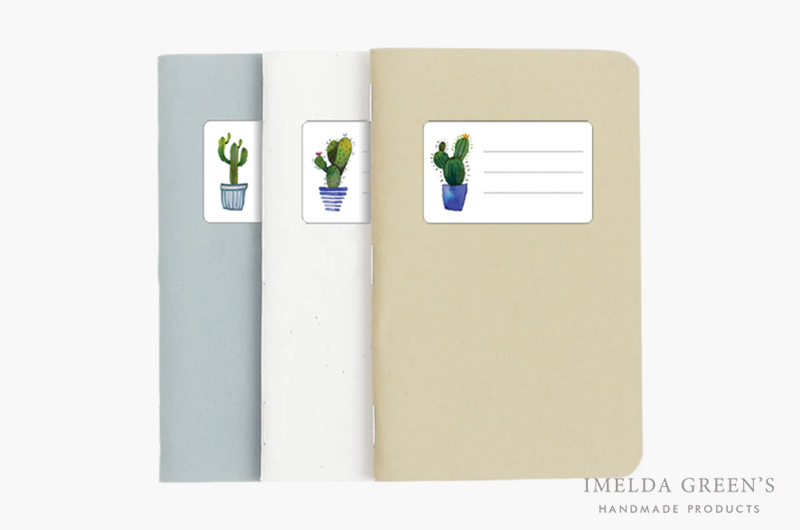 I painted these cacti in my sketchbook on a very hot day when I was feeling particularly grumpy. The title “Want a hug?” which decorates the original piece, fully expresses how I feel when I am too hot. 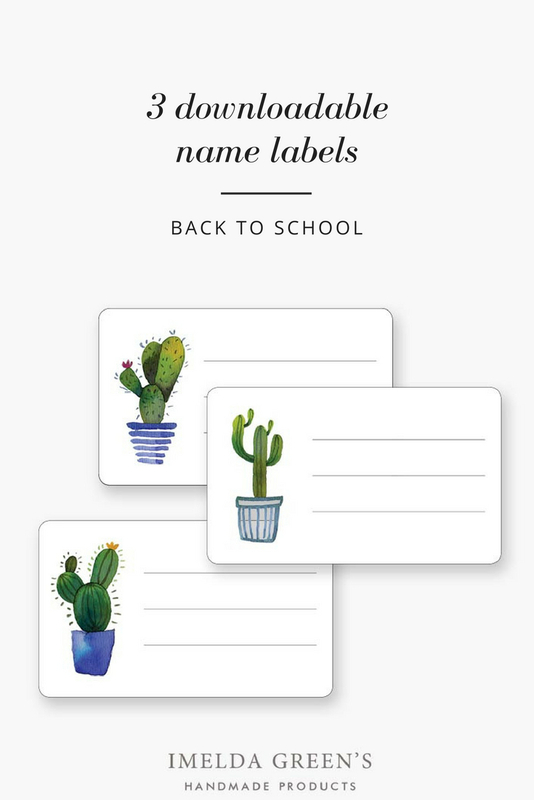 I arranged the name labels on A4 paper, so you get a set of 4 of all 3 kinds. Print this (or have it printed) on sticker paper, then cut them up, and you are ready to use them. 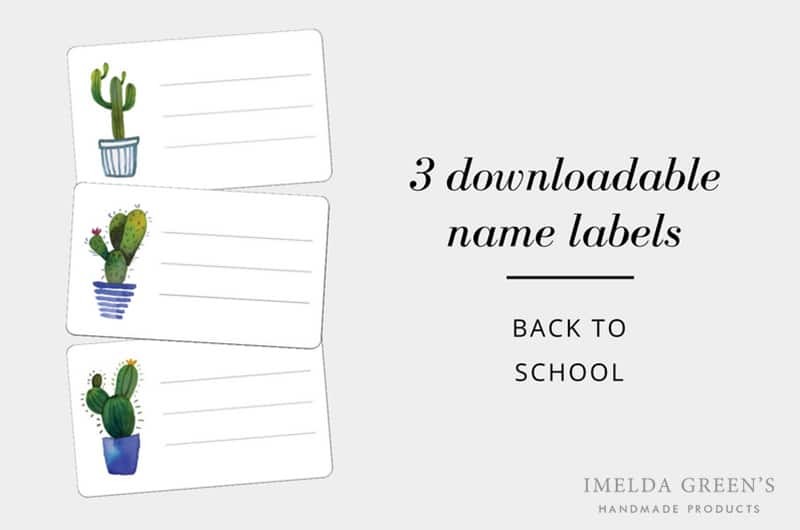 If you or your kid does not attend school these days, you might still find name labels useful on folders or even in your bullet journal. 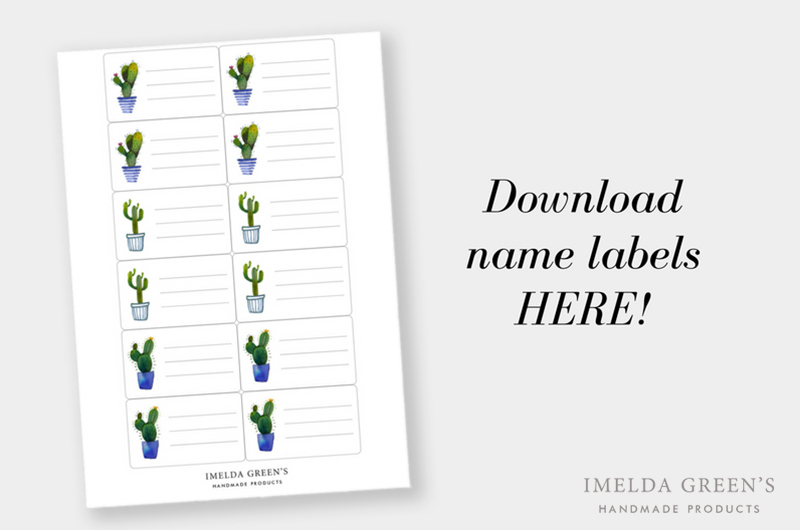 How do you use labels? Share them in the comments!